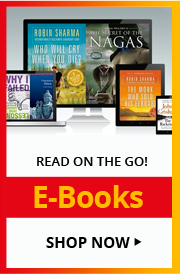 "Reading inspirational self-help literature from A Treasury of Success Unlimited helped me get reignited and on-fire to work again after a devastating bankruptcy that turned my life inside-out and upside-down. Read this uplifting information and you will see why my desire is to conquer the world with inspiration, starting with you reading this!" "If you're searching for an inspirational thought or personal motivational moment to get you going, the best thing to do is crack open a 70 year-old book. This master Napoleon Hill, Dale Carnegie, and Orison Swett Marden are without modern comparisons. This simplicity and the validity of their thought is not just inspriational, it's actionable." "Reading inspirational books on a daily basis is so often the difference between a person doing a good job and a great job in their chosen craft. We are the sum total of our exposure, and gaining ideas from the greats such as Napoleon Hill, Orison Marden, Og Mandino, Norman Vincent Peale, and Charlie "Tremendous" Jones definitely changes life for the better! If I wasn't an avid reader I think I would be only half as happy, have half the net worth, and be only half as valuable to those I serve. To become more, read more!" 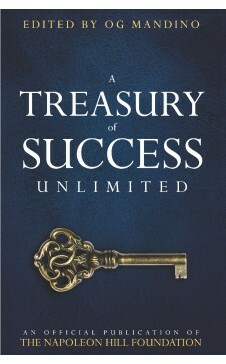 "You will enjoy these outstanding articles in A Treasury of Success Unlimited. These articles were chosen not only to motivate and inspire you but to show you how to achieve peace of mind, wealth, good health, happiness and success. You will discover the true riches in both your personal and business life when you share the experiences, success secrets, and wise advise of such outstanding individuals as: W. Clement Stone, Napoleon Hill, Norman Vincent Peale, Ben Sweetland, and many others." Augustine "Og" Mandino was an American author who wrote the bestselling book The Greatest Salesman in the World. His books have sold over 50 million copies and have been translated into over twenty-five different languages. He was the president of Success Unlimited magazine until 1976 and is an inductee of the National Speakers Association's Hall of Fame.